Easy Studying – our interactive DMV driving course is split into 11 units, so you can study at your own pace. No boring classrooms or dull lectures. Each module has videos and a quiz so you retain all the information needed to pass your final exam. Save Time – you’ll pass the first time with our comprehensive DMV driver education course. 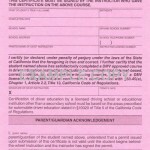 Our students find they get everything they need for a passing grade on the California DMV permit test. 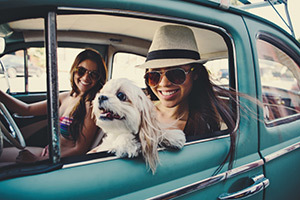 Help Others By Just Enrolling — when you enroll in our online driving course, we donate 10% to one of these charities of your choice: DMVEdu.org Scholarship Fund, Glide, Feeding America, Mothers Against Drunk Driving, Salvation Army, PETA, Grid Alternatives, KIPP Foundation). Be Safer on the Road – our students go on to become safe drivers. The information you learn will help you when you’re behind the wheel. Enroll in our DMV drivers ed course for only $24.99! You can pay by credit card and get started in minutes. Work through a module at a time. At the end of every unit you’ll take a quiz that will help you retain the information you need to pass the California Drivers Ed exam. Take the online exam. Once you’ve finished with the course, you’ve achieved the 30 hours of study required by law to take the exam. Next you’ll take the final exam, only 30 questions. No need to stress as you can take the exam as many times you need in order to pass. 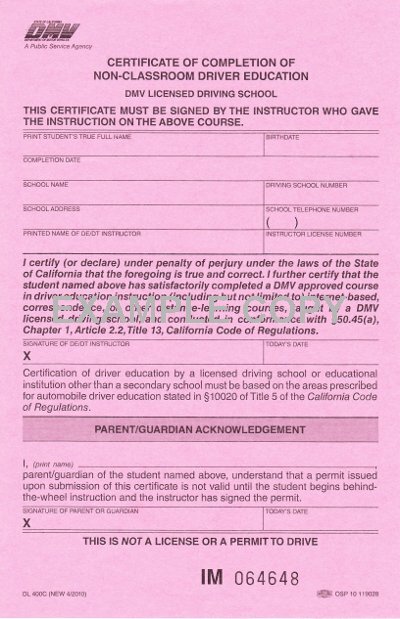 Receive a Driver’s Education Completion Certificate. 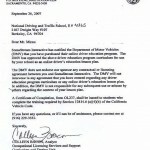 Once you’ve passed the exam, an official DMV Certificate of Completion will be mailed to you. Take the DMV Written Test. Bring in your Completion Certificate when you go to the DMV. You’ll take the official written test to get your Learner’s Permit. Remember the beauty of online drivers ed is that you can be in Los Angeles, Santa Rosa, Needles or even Eureka – anywhere in the Golden State and complete the requirements for your permit online. What happens after I finish the course? 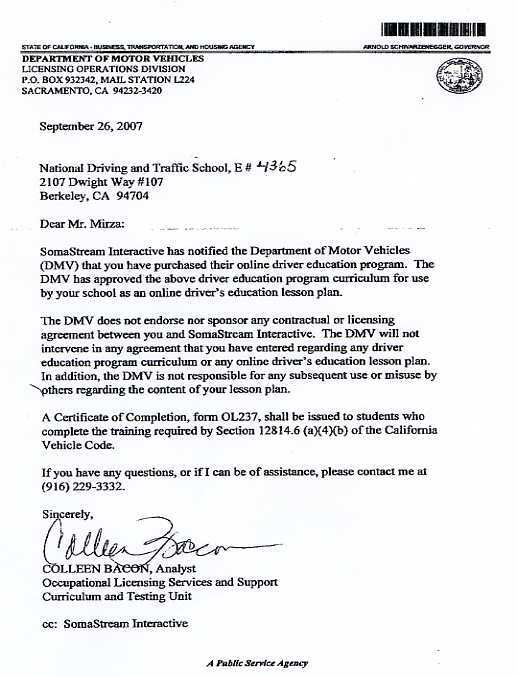 Upon receiving the drivers education completion certificate, the next step is to take the written test for your learner’s permit at the DMV! Enroll now to get started! Please note that you need to keep this certificate for a minimum of six months. You will need it in order to take the written test at the DMV and you will need it again when you want to take the driving test. Please be sure to store this certificate in a safe location.